The Supreme Court today ordered handing over of the probe report submitted by former judge Justice S B Sinha on the 2006 Meerut fire which claimed 60 lives, which fixed responsibilities and liabilities on the state government and the organizers, to the Uttar Pradesh government for it to take a stand on disbursement of compensation. On 10 April 2006 a fire swept through a consumer electronics fair (Brand India Fair) in Victoria Park, Meerut killing 65 people and injuring 150 others. The fire was said to have been caused by a short circuit An estimated 2,000 people were at the fair when the fire broke out. Meanwhile the bench headed by justice Dipak Misra ordered that the interim amount of Rs thirty lakh deposited by the organizers be sent to the Meerut District Judge for pro rata distribution among the kin of the deceased. On August 1, 2014 the Supreme Court bench comprised of Justice V. Gopala Gowda and Justice Dipak Misra had appointed former Judge S.B. Sinha to probe the 2006 Meerut fire tragedy which claimed the lives of 60 people. 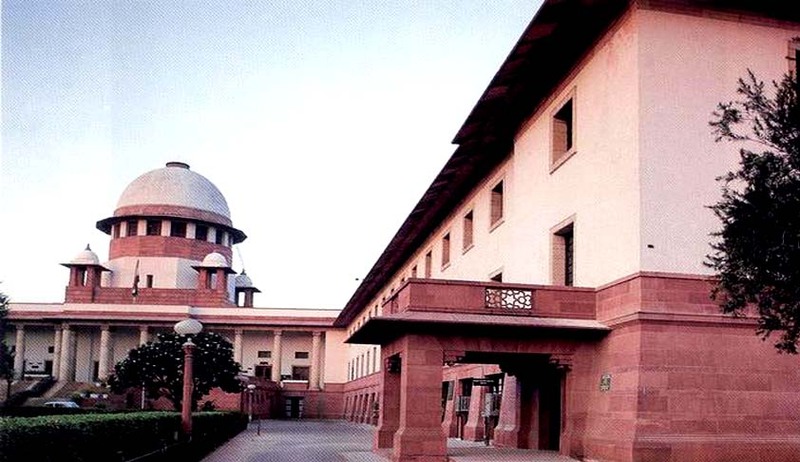 “Having heard learned counsel for the parties, we think it appropriate that a copy of Mr. Justice Sinha's report shall be handed over to Mr. Ravi Prakash Mehrotra, learned counsel for the State so that he can send it to the competent authority of the State which shall apprise this Court about its view on the report of the Commission. “The objections filed by the respondent nos.10 to 12 shall also be handed over to Mr. Ravi Prakash Mehrotra. The State, upon perusal of the report of Mr. Justice S.B. Sinha as well as the objections filed thereto by the respondents 10 to 12 shall file an affidavit with regard to its view and the action it intends to take. The exercise in this regard be completed within 10 weeks”. “Though we are sending the matter to the State for its view, yet the amount of Rs.30,00,000/- (Rupees thirty lac only) that has been deposited by Respondent Nos. 10 to 12 before this Court shall be sent to the learned District Judge, Meerut for pro rata distribution. When we say pro rata distribution, it means the amount that has been given by the Central Government and the State Government to the deceased, the amount shall be disbursed in proportion and similarly the amount that has been given to the people who have suffered injuries, grievous or simple, the pro rata sum shall be distributed. Needless to say, the disbursement of the amount amongst the legal heirs of the deceased persons and the victims who have suffered injuries shall be subject to final adjudication of the writ petition”, the bench said. Earlier, former Allahabad High Court Judge O.P. Garg was appointed by the State Government as one-man Commission to inquire into the incident. Its findings however were opposed by the organizers saying that they were not heard. They had submitted through their counsel, Mr. Shanti Bhushan, that no opportunity was provided to them to cross-examine the witnesses, even though they were directly affected by the said inquiry and the findings recorded by the Commission.